Gabrielle just turned five years old 1/20/2012. She has a strong prey drive and will chase small critters and tree squirrels. She will chase cats. Gabrielle is basic and advanced obedience trained. She does not really like other dogs but lives with my service dog and me. She will do best in a calm household with females only. This is an older picture of her. I do not know how to lead Kodak Easy Share photos here. 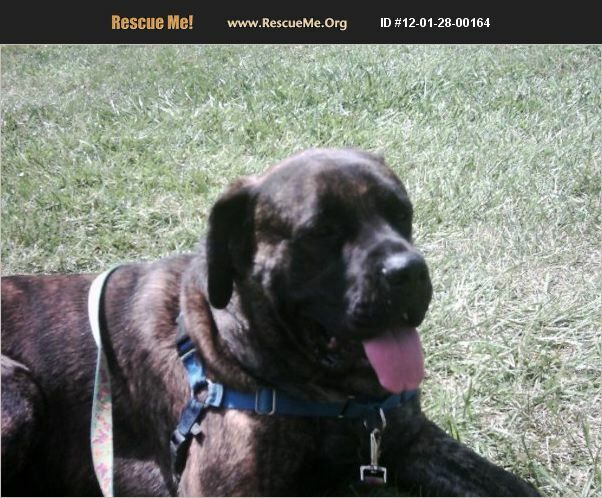 Gabrielle needs a new home b/c she was left behind and I can only afford to care for one Mastiff. Gabrielle is slated for being taken to a shelter this weekend and will likely be euthanized.